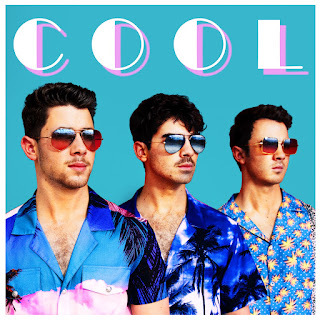 05 April 2019 (Toronto, ON) - Following the biggest comeback of the year, GRAMMY® Award-nominated multiplatinum powerhouse trio–Jonas Brothers—unleash their new single “Cool” today via Republic Records/Universal Music Canada, the country's leading music company. The arrival of “Cool” follows the extremely successful release of “Sucker” which debuted at #1 on the Billboard Hot 100 and is approaching 2 million in global consumption. The success also encompasses North American number ones on Apple Music, Spotify, and iTunes as well as global number ones on Apple Music, YouTube, and Twitter. “Sucker” has remained the “#1 Greatest Gainer for Top 40” radio for five consecutive weeks, recently entering the Top 10 where it continues to climb. As an international phenomenon, it achieves their highest career single chart debut in the UK, landing in the Top 10, and is currently topping airplay charts around the world. The preeminent male group of this century, Jonas Brothers opened the floodgates for a new era of titans in pop music. They earned three consecutive number one albums and sold out shows throughout three continents. Selling over 17 million-plus albums with over 1 billion streams worldwide, they've achieved dozens of platinum and gold certifications. Jonas Brothers notably received a GRAMMY® Award nomination in the category of “Best New Artist”, garnered “Breakthrough Artist” at the American Music Awards, won Billboard’s “Eventful Fans” Choice Award for “Best Concert Tour of the Year” and took home a Mexican Grammy, showcasing their international influence. The tremendous success of the band provided a launch pad for the successful and storied solo careers of Nick Jonas, Joe Jonas, and Kevin Jonas, who have kept loyal fans yearning for a reunion, until now.